Tomorrow's my BIRTHDAY! I need something to celebrate in style so I combined everything: glitter, 3D and a little bit hand painted. 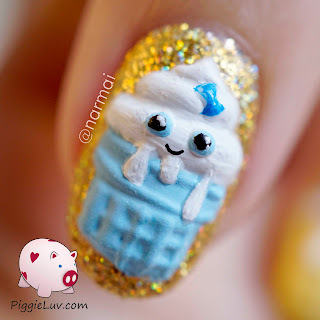 Birthday cupcakes nail art! 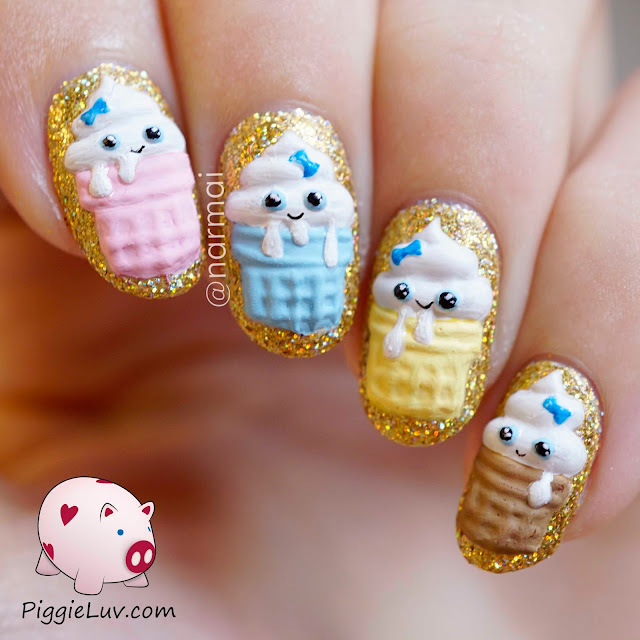 These were inspired by some yummy cookies by @sweetambs on Instagram. Video tutorial is included, click to see more! The base for the 3D cupcakes is some brandless white 3D gel polish that I got from a friend. I colored them in and added details with acrylic paint and my Roubloff 00 detail brush. WOW that is a long time ago!! I used Digital Nails Solar Flare for the base because I HAD to have me some pretty sparklies for my birthday! The best glitter polishes I have are from Digital Nails, MAN does she know how to make great polish! 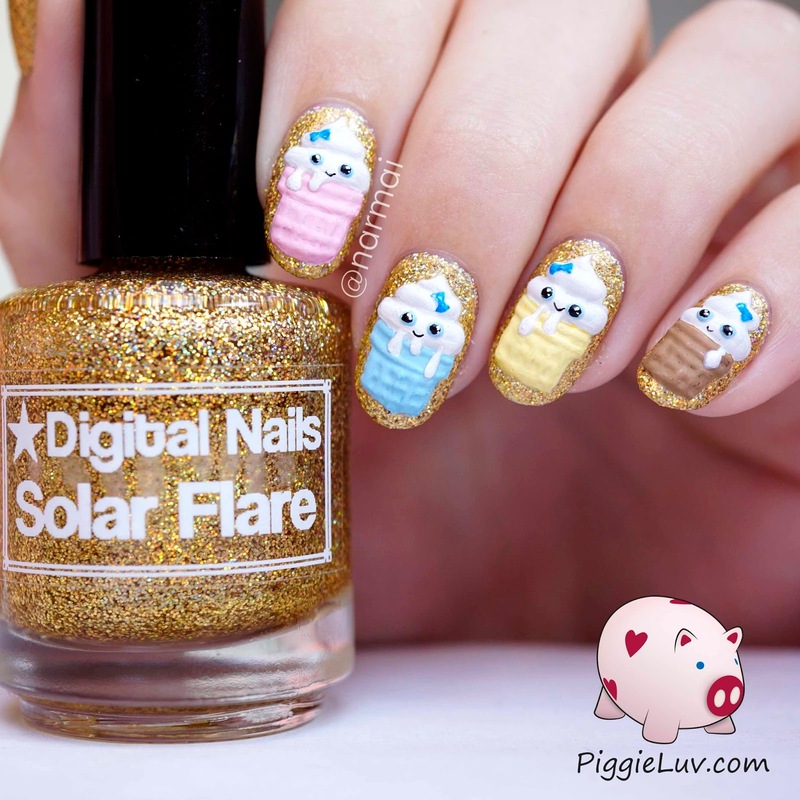 I received Digital Nails Solar Flare as a press sample. Opinions expressed are 100% my own and not influenced in any way other than the quality of the product itself.